The decision of whether to purchase a V6 or V8 car is largely a personal one. The V8 engine offers more power but consumes more fuel. If you are undecided on the two you will need a basic understanding of how internal combustion engines work. Technological innovations have led to new additions to the combustion – like a turbo – and this has led to powerful four-cylinder and V6 engines. These engines are cheaper than the V8 while enabling users to enjoy both power and fuel efficiency – critical for city roads. Before the 19th century the most common type of engines, where steam engines. Things changed in the 1950s when fuel started being used as an energy source. Researchers had experimented with other chemical compounds like hydrogen and coal but this was not successful. The first time people got to see a fully assembled internal combustion engine was in 1876. Nikolaus Otto created the Otto engine, which has been redesigned to what we see today. The engine block is often made from aluminum or cast iron block. Inside you will find the cylinders arranged in one or two rows. Within the engine are water passages that are used to dissipate energy from the block and cool it in the radiator. Movement in the engine is due to the pressure produced by the ignition of air/fuel mixture. The piston rings prevent the leakage of gases and oil into the crankcase. The camshaft will hold the inlet and outlet valves. The exhaust system will carry the exhaust gases through the tailpipe to the atmosphere. Problems do arise in the combustion chamber and this will be evidenced by white or black smoke from the exhaust. The spark plugs provide the necessary spark for the ignition of the fuel/air mixture. The crankshaft rotates as the pistons move. The internal combustion chambers use an air/fuel mixture to run the engine. Inside the combustion chambers are pistons that move up and down when the fuel/air mixture is ignited. This then drives the crankshaft and wheel axles. A V6 engine has six cylinders while a V8 have eight cylinders. This means the V8 produces more power. Power means that the car accelerates at a faster rate. The V8 also has the added advantage of cylinder banks being in a perpendicular angle. Power delivery is smoother in the V8. Due to the additional cylinders in the V8, it means that it consumes more fuel than the V6. If you are thinking of doing occasional city driving then it would be uneconomical to drive a V8. The V8 will also cost more than the V6. If you are looking for a car with less friction and maintenance costs then the V6 is better but if it is the power that you are after then the V8 delivers. 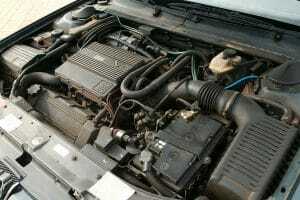 The four-cylinder engine has been the most common type of engine and is the predecessor of the V6 engine. it is a compact engine that fits in most cars. Due to its lightweight design, it offers a smooth ride. The engines are easy to work with because the cylinder heads are the highest point for the pistons. The reason they have been widely used is due to the low manufacturing costs. Drawbacks include the inability to incorporate large cylinders like 2.5 or 3.0 liters and this limits performance. You also have a higher center of gravity and a rigid layout when compared to the V6 and V8. The engine is compact and rigid. You can have it as either a 2.0 or 4.0 liter. 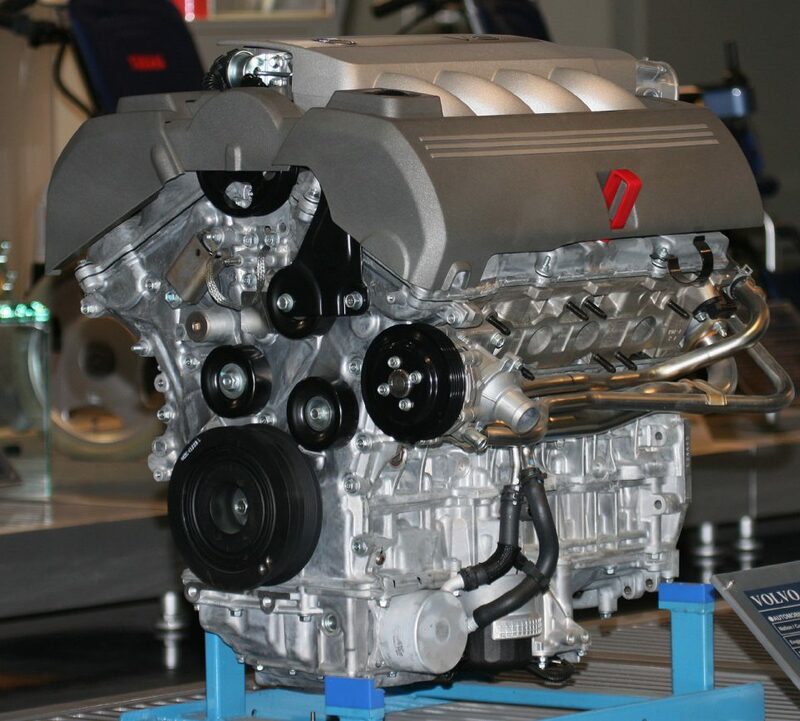 There has been an increase in the usage of the V6 engine as they act as a middle ground between V8 and four-cylinder. It offers more power than conventional engines and this has seen its usage in many fronts, rear, and all-wheel drives. The drawback is that the use of two camshafts for SOHC and four for DOHC which makes the car heavier. Most companies have drastically improved the performance of the four-cylinder engines by introducing turbo. This gives the car more power while enabling it to be fuel efficient. Turbo operation is simple – it works by adding more air to the chambers and this causes each combustion to have more powerful combustion. This power is moved to the crankshaft and the car accelerates fast. The turbo is not in constant operation and is often deployed when the driver is in need of more power. This helps keep fuel consumption low. This engine has to be a favorite for most muscle cars. It is an engine associated with power. The engine packaging is short and you get a good balance that is dependent on the crankshaft type – cross-plane or flat plane. The V8 rigid design offers higher displacement. 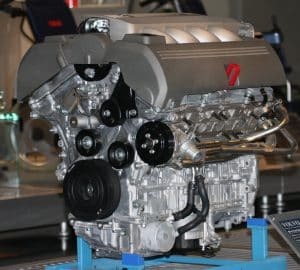 However, the V8 has several drawbacks like the engine being heavier than the V6 and it having a higher center of gravity than the flat engines. The costs of maintaining a V8 are higher due to the increased friction in the moving parts and this will push the purchase price. Most of the cars having the V8 engine are either AWD or RWD which is restricted, unlike the V6 and four-cylinder engines that can be fixed on most car models. The V6 offers more displacement than the four-cylinder and has even been the preferred engine for most formula one cars. When it comes to selecting either a V6 or V8 car your budget, personal preferences and usage of the car will be a determining factor. If you are going to be using your car frequently for city traffic then it is wise you go with a V6 engine. the V6 engine can be mounted on the most front and rear wheel drive while the V8 is mostly found in RWD and AWD cars. But, if you are looking for more power at the expense of fuel efficiency then go with the V8 engine. You will have to contend with the additional maintenance costs when compared to the V6.